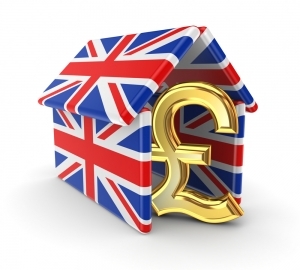 Homeowners are expected to boost up remortgage lending in the coming months. Brexit has led to uncertainty and caution. As the shadow of Brexit looms over the economy, many homeowners are searching for ways to find financial peace of mind and remortgaging could offer that. Lenders are offering low interest rates and attractive remortgages with long term fixed rates. Such a deal could be attention grabbing in itself, but add in the opportunity to release built up equity into cash and it is something that homeowners certainly can’t ignore. When releasing equity into cash from property during a remortgage, many homeowners may falsely believe the money is earmarked for a particular spending. However, the money belongs to the homeowner as the property gained the equity during their ownership despite the mortgage on the property. Therefore the money can be spent as the homeowner sees fit. In obtaining an equity cash release remortgage, a homeowner can spend the money on lowering debt or to stash the money away in an emergency fund. Either of these possibilities could be attractive during the current uncertainty due to Brexit. Some homeowners might decide to use the cash they obtain through the equity release remortgage to invest in home improvements or to upgrade appliances, or pay for new heating and cooling systems, or to invest in energy savings through insulation, roofing, or new windows. It could also be used to buy new furniture, or update the interior with a modern kitchen. The cash could also be used to fund a holiday or other life experience. With low interest rates, more fixed rate remortgage products coming onto the market, and an easing in remortgage lending expected, it might perhaps be one of the best opportunities to take advantage of releasing equity into cash to invest in the homeowner’s financial peace of mind, the property itself, or life in general.